Good news for the job seekers who are looking for Latest Government Jobs in Rajasthan. Now the Mahatma Gandhi National Rural Employment Guarantee Act Udaipur (MGNREGA Udaipur) has released a new advertisement to fill up 129 Junior Technical Assistant, Account Assistant Vacancies. The organization has to invite the eligible candidates for Junior Technical Assistant and Account Assistant Openings. Interested aspirants can apply for MGNREGA Udaipur Recruitment 2017 Notification on or before the closing date through Offline Mode. Already the authorities have started receiving the application forms. So, without any late, all the applicants must submit their application form before the last date 6th November 2017. We request all the aspirants while filling the application form it is important to refer the mandatory details such as Education Qualification, Age Limit, Application Fee, Selection Process, Sapy Details. By scrolling down this page you can find much more details about MGNREGA Udaipur Jobs 2017. Applying contenders must complete their Degree/ Diploma in Civil Engineering/ B.Tech/ B.E in Agricultural Engineering / CA Intermediate (IPC)/ B.Com/ CS (Inter)/ ICWA (Inter) is the education qualification for MGNREGA Udaipur Recruitment 2017. Want to get more information about MGNREGA Udaipur Openings 2017 then check the entire article completely. If any applicant didn’t satisfy with the provided details then download the official notification which is attached at the bottom of the article and refer the entire data. 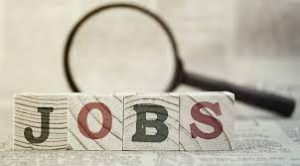 The Mahatma Gandhi National Rural Employment Guarantee Act Udaipur (MGNREGA Udaipur) is ready to recruit the brilliant candidates for Junior Technical Assistant and Account Assistant Vacancies. Intersted candidates can submit the application form through offline mode. The candidate’s minimum age limit is 21 years, as well as the maximum age limit, are 35 years. The Post Wise Age Relaxation is clearly mentioned in the official notification. As per the latest news, the officials are going to conduct the Written Exam and Viva-voce for the applied candidates. So, the aspirant’s selection process will be purely based on Written Test and Viva-voce. Most of the people from Rajasthan State are eagerly waiting for government jobs notification. Now the MGNREGA Udaipur Recruitment 2017 Notification is out. So, we request each and every applicant before filling the application form you have to check the complete article completely. AFter completion of the application process aspirants must start the preparation as soon as possible by collecting the Syllabus and Test Pattern. Given information is sufficient for each and every applicant who are going to applying for MGNREGA Udaipur Recruitment 2017 Notification. The Post Wise MGNREGA Udaipur Recruitment 2017 Information is given in the below section. There is no application fee for MGNREGA Udaipur Jobs 2017. The selected candidates will receive good package offered by Mahatma Gandhi National Rural Employment Guarantee Act Udaipur (MGNREGA Udaipur). Candidates who want to know more information about Application Fee you have to read the advertisement carefully. There is a heavy competition for Government Jobs so aspirants must work hard and crack the written exam. Through this page, all the contenders can get full information about MGNREGA Udaipur Recruitment 2017. The officials are going to fill up totally 129 Vacancies for Junior Technical Assistant and Account Assistant Posts. In this article, we are sharing some important details for the applicants such as Eligibility Criteria, Pay Scale, Application Fee, Selection Process, Age Limit and Age Relaxation information. After completion of the application form verify the details and send to the below given address. Also, follow the below given instructions and apply for MGNREGA Udaipur Openings 2017 before 6th November 2017. Sarkarirecrutiment.com is the best website for the job seekers. On our website, we are providing all the genuine information for job fighters. So, bookmark our website and get more updates about Job Notifications. Candidates who are going to applying for Junior Technical Assistant, Account Assistant Vacancies they have to complete their Degree/ Diploma in Civil Engineering/ B.Tech/ B.E in Agricultural Engineering / CA Intermediate (IPC)/ B.Com/ CS (Inter)/ ICWA (Inter) from any recognized institute is the required educational qualification. The Maximum Age Limit is 35 Years. The Upper Age Relaxation is as per Mahatma Gandhi National Rural Employment Guarantee Act Udaipur (MGNREGA Udaipur) norms. The officials are clearly mentioned in the official notification the applied candidates must face Written Test and Viva – Voce Test. There is no application fee for Junior Technical Assistant and Account Assistant Posts. It is better to refer the official notification and check more details about Application Fee. The Mahatma Gandhi National Rural Employment Guarantee Act Udaipur (MGNREGA Udaipur) is offering a good salary for the selected candidates. Find for MGNREGA Udaipur Recruitment 2017 Notification. And check the complete information. If eligible then download the application form. Now Fill all the required fields in a detailed manner. Verify the given data and submit the application form to the below given address on or before the ending date. Take a printout of the application and save it for further process. Starting Date To Fill the Application Form: Started. The Last Date For Submitting the Offline Application Form: 6th November 2017.
please sir, mgnrega Maharashtra ki nayi vacancy share kare aur kaise kare apply ki jankari de. dhnyawad.